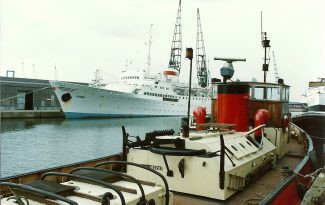 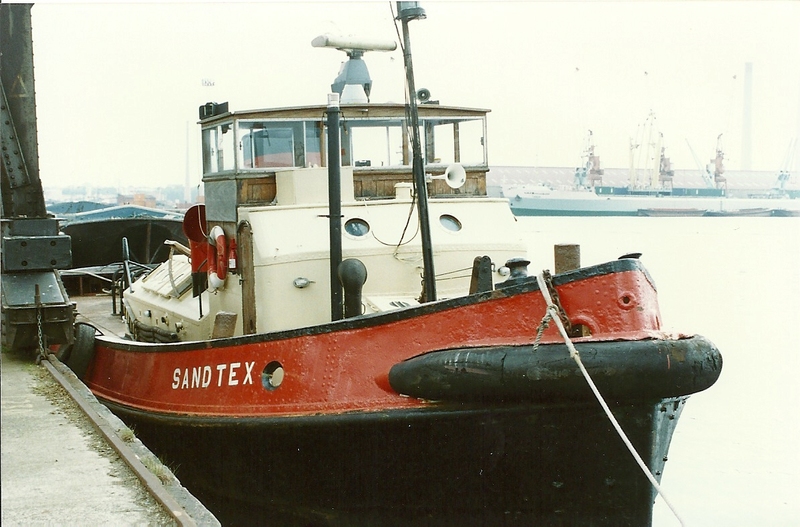 The tug SANDTEX in Tilbury 1/6/87.She was built in 1950 as the SILVERDIAL for Silvertown Services Lighterage. In 1970 sold to APCM and renamed SANDTEX. 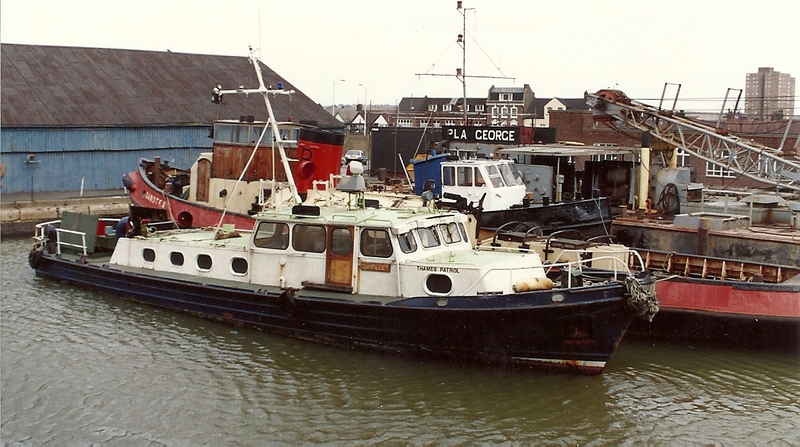 In 1983 sold to AAP Tugs; in 1987 to Blackstone Offshore and in 1988 coverted to a diving support vessel.